This song list is not exhaustive by any stretch of the imagination. So don’t fret if you’re favorite is not included here. The band is always adding the latest and greatest songs to this list, so if you don’t see it here, chances are they already know it. If there’s a particular song that’s very important to you, then it’s important to the band too, so be sure to ask about it. They just might take the time to learn it so they can play it at your special event. 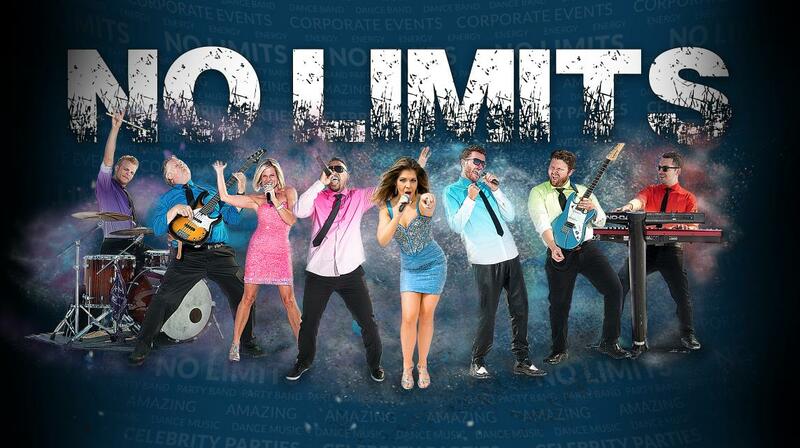 When you hire the No Limits band, you get a whole lot more than just high quality dance music. 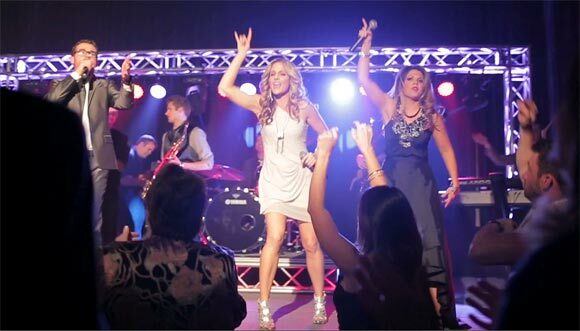 When compared to other live party bands they deliver a superior sound and are extremely versatile as well – playing today’s current chart-topping hits in addition to everybody’s favorites from the 60s through the 90s. With three talented lead vocalists and some of the finest musicians, you would think their music alone would be enough to excite anyone – and it is. But this electrifying band wants to rock your party like you’ve never been rocked before, which is why they include dazzling costume changes, high-stepping choreography, brilliant light system, boundless energy, and live performance skills that you have to see to believe. This amazing party band can do it all. They’ll play soft cocktail or dinner music at the appropriate time, and then shift it into high gear when the after-dinner festivities or dancing begins. Plus, they deliver more current chart-topping hits than just about any other band, keeping up with new favorites. When you want to give your guests the Best Party musical experience, Hire No Limits.